So, you can expect we’ll see a lot more synthesizer options. 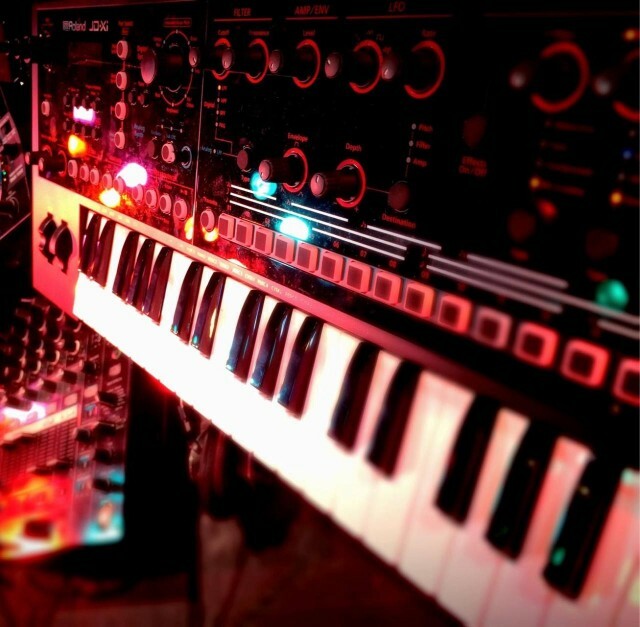 In the image, you can clearly see mention of a digital synth section and an analog oscillator and analog filter section. It appears that the digital section gives you polyphonic operation, whereas the analog oscillator section is much simpler (with a sub-oscillator) and the other analog portion is a filter. All of this also appears to be genuine analog sound, not the digital modeling featured on last year’s AIRA line. But whether I’m right or wrong, there are a couple of things to watch out for later in January. First, since this doesn’t carry the AIRA badge, it seems a no-brainer that we’ll see some new announcement from the AIRA side of Roland. Second, part of the Roland Product Group challenge was to reboot the company’s design process and make it more responsive to a changing marketplace. 2015 will be the year where we first see if Roland has been able to imprint some of the genetic code of AIRA on the rest of the company – and they urgently need to do that, as sales of more traditional product lines have slumped. Beyond that, there isn’t a whole lot to see in the image. The synth design looks pretty vanilla, but then we don’t know what’s lurking in the digital section and hiding behind what appears to be a display panel on the left — the digital capabilities here could wind up being more interesting than the analog ones. There’s nothing immediately exciting about the panel layout; we’ll just have to wait. Most notable is really the step sequencer at the bottom. I agree with commenters on Synthtopia. (I don’t always say that.) There could very well be digital bits from the Integra 7 – or the latest Jupiter. Apparently the “J” naming convention means “Juno” and “D” means “Digital”, one can only guess that “X” means ” “Crossover Analog+Digital” like the Juno X8/X10 and “i” means “Intuitive” or “Intelligent” like the Juno Gi/Di.. So possibly a new Juno with analog filter features and more knobs to bolster the current Juno line. Nailed it. I’m just not sure if Juno is right, or Jupiter. One thing we can say for sure: Roland has finally seen reason and gone with separate pitch and mod wheels, breaking with years and years of their “paddle” combined wheel (which doesn’t work well for a lot of precise modulation or leaving modulation on). Oh, and they’re also not adding a jog wheel as on the SYSTEM-1. Anyway, January has barely started, and … here we go.